The Exigo 4ft angle punch bag is suitable for uppercut practice both at home and in commercial facilities. It is made from a nylon backed polyurethane (PU) material that ensures improved strength and durability. This more specialist bag is 45cm (17.7") in diameter and has a height of 122cm (48"). It is supplied with 6 hanging straps and heavy duty welded D rings. The punch bag is made in the UK. for submitting product information about Exigo 4ft PU Angle Punch Bag We aim to answer all questions within 2-3 days. for submitting product information about Exigo 4ft PU Angle Punch Bag. We aim to answer all questions within 2-3 days. If you provided your name and email address, we will email you as soon as the answer is published. 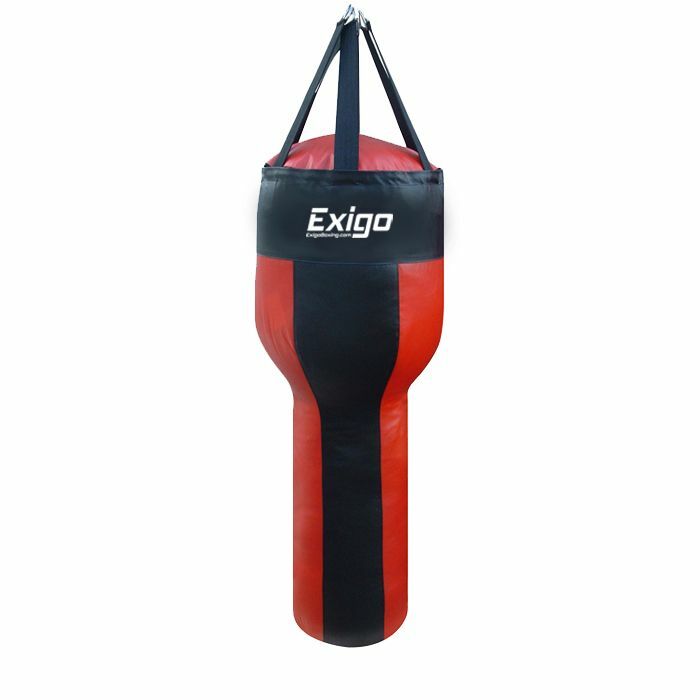 for submitting product review about Exigo 4ft PU Angle Punch Bag.